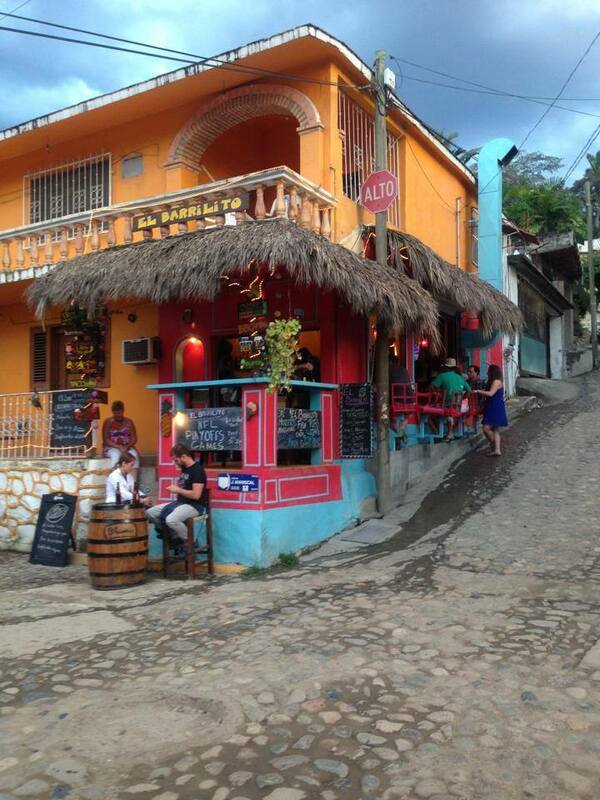 Sayulita, Mexico, is incredibly sticky, hot, and humid during the off season – with many stormy nights. Most of the locals stay in town, shading themselves under palm trees. Some of the city’s residents choose to venture elsewhere during the months of August and September, renting out their beautiful homes to lucky people like me. 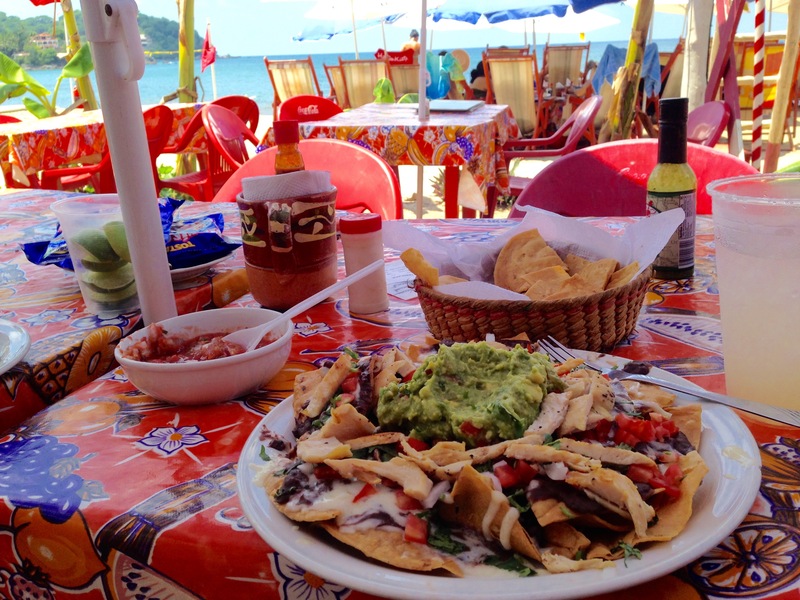 Captain Pablo’s is a restaurant right on the water that serves seafood and a few Mexican classics. You can eat inside or out on beach chairs in the sand – each with a little table and umbrella to shield you from the sun. 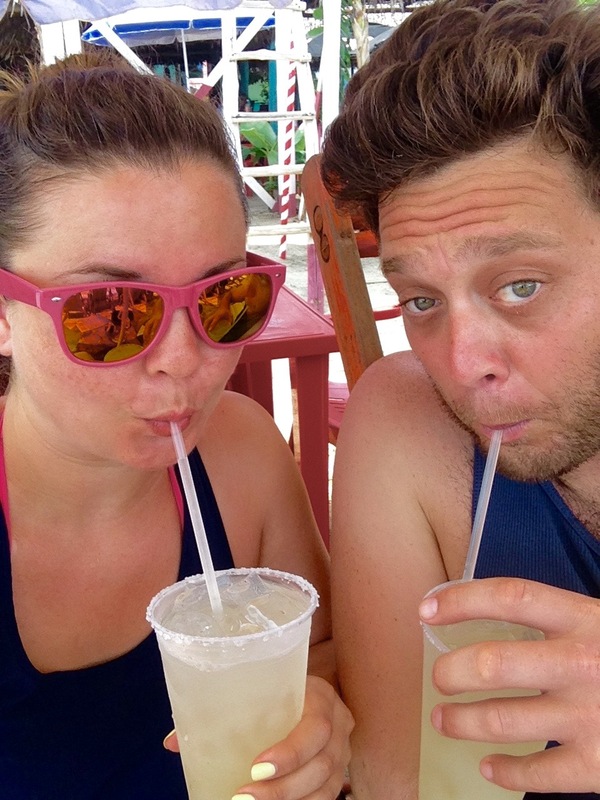 The margaritas were incredibly refreshing and the food was pretty good. I say “best buy” because they are one of the few (if not the only) spots where you can eat right in front of the waves without paying for the space. They call it ‘paying rent.’ All you need to do in order to enjoy their outdoor seating is order some food and drink. Easy enough. Other spots charge 100-500 pesos just to sit down! Don Pedro’s easily has the best spot in the city as far as views and location. Surprisingly it doesn’t offer Mexican food, but it does have a nice selection of wine and some tasty North American fare. My boyfriend and I ate here on our first night in town and our last. The first night was 95 degrees and Don Pedro’s was a quick 5 minute walk from the city center, located right on the water with breathtaking views of the surf and neighboring jungle mountains. The fans (and beers) gave us comfort as we watched the sunset. 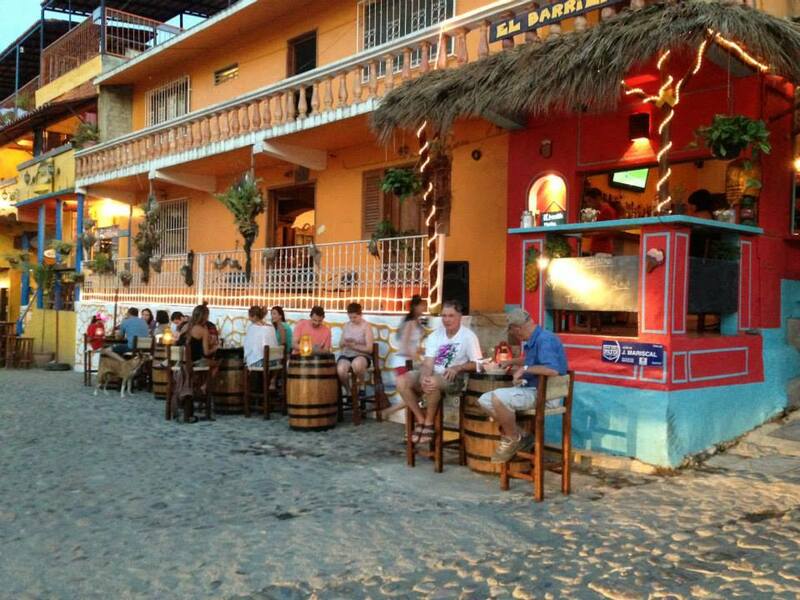 The last night we ran into Don Pedro’s to avoid a huge storm after walking along the beach. They provided the perfect spot to enjoy some wine, watch the rain, and eat good food. 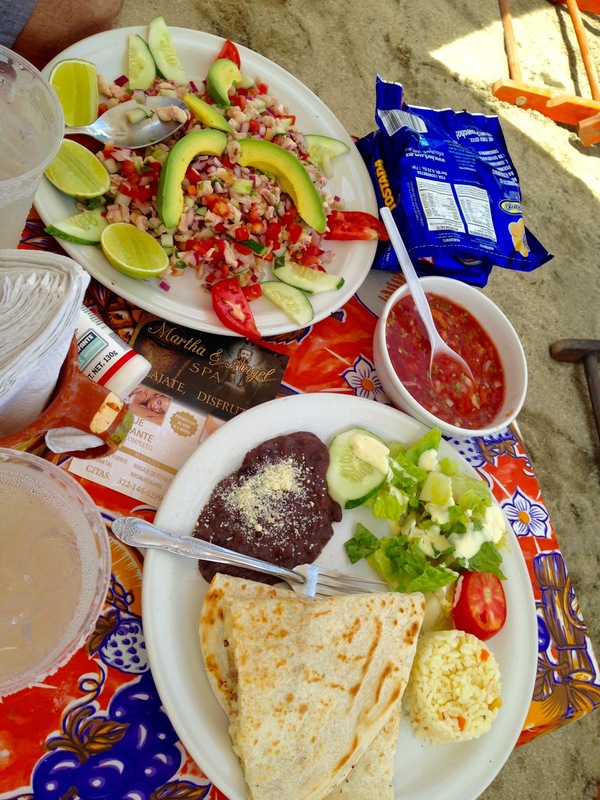 When you think Mexico you don’t think fantastic Mediterranean food – well, think again! Falafel & Friends was so good we ate there twice in a week. 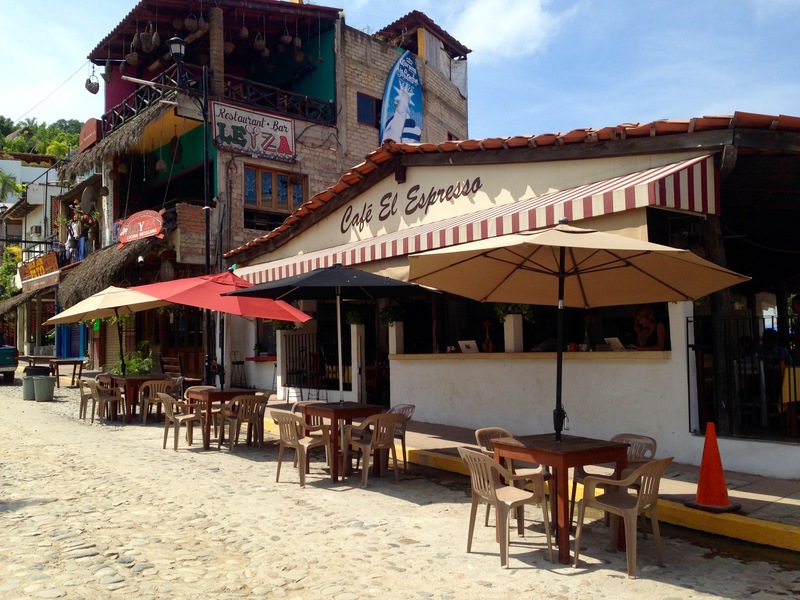 Tucked into one of Sayulita’s many cobble-stone side streets is a little falafel shop that blew our minds. Everything is made fresh and the service is great. The chicken wrap was sweet, juicy, and savory. The falafel & hummus platter was to die for. And, as a person who loves a good sauce, they provide you with a selection of hot sauce, tahini, and tzatziki – which I put on everything. 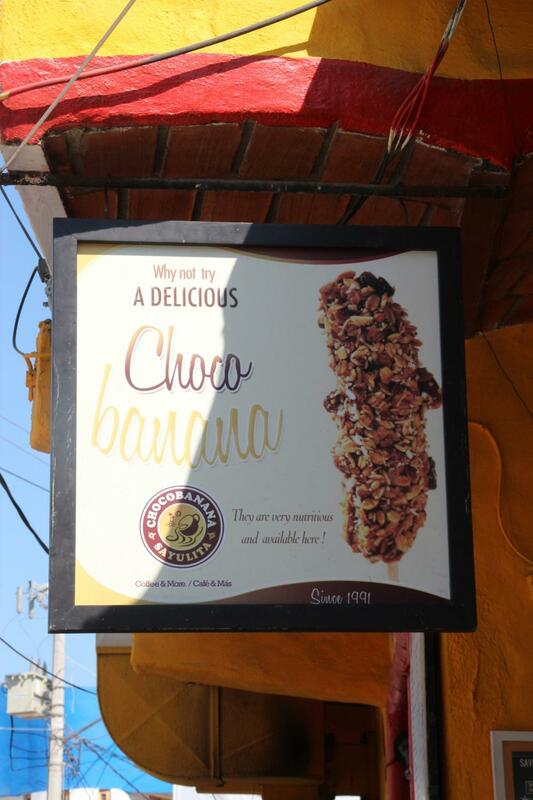 My heart feels warm and fuzzy when I think about El Barrilito. 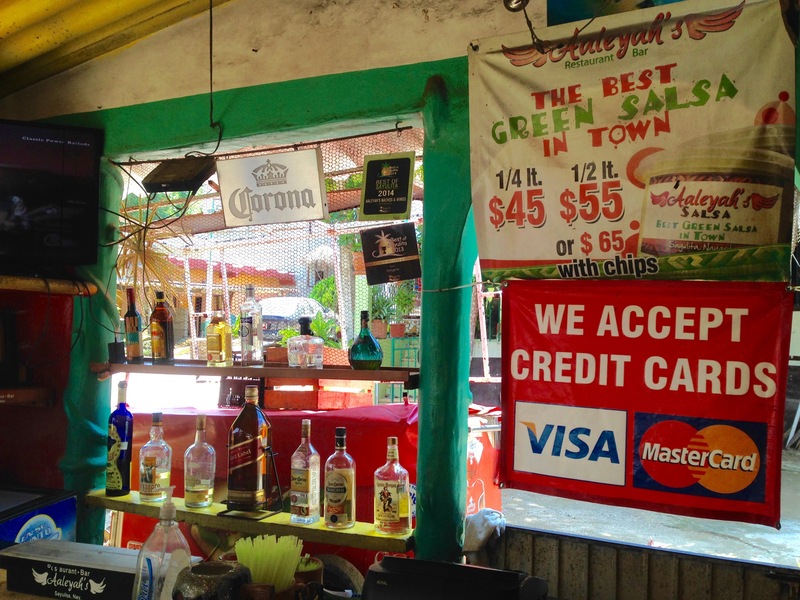 Located at the base of Gringo Hill (yes, it’s really called that) is a small dive bar with the kindest staff and best house tequila. We ended up here most of the nights we stayed in the city because our Airbnb was at the top of the hill, just 5-10 minutes away. Their kitchen was closed because we came during the peak of the off season, but their friendly service and view of the plaza is all we needed. I think my boyfriend and I agree that this was our favorite local hangout in the city. Aaleyah’s instantly greeted us with free shots of their house tequila and two beers. They escorted us up to their bar where their TV was blasting VH1’s greatest hits. They placed chips and salsa in front of us. But, this wasn’t just any salsa; it was the creamiest green salsa I’ve ever had. Turns out they are famous for it! 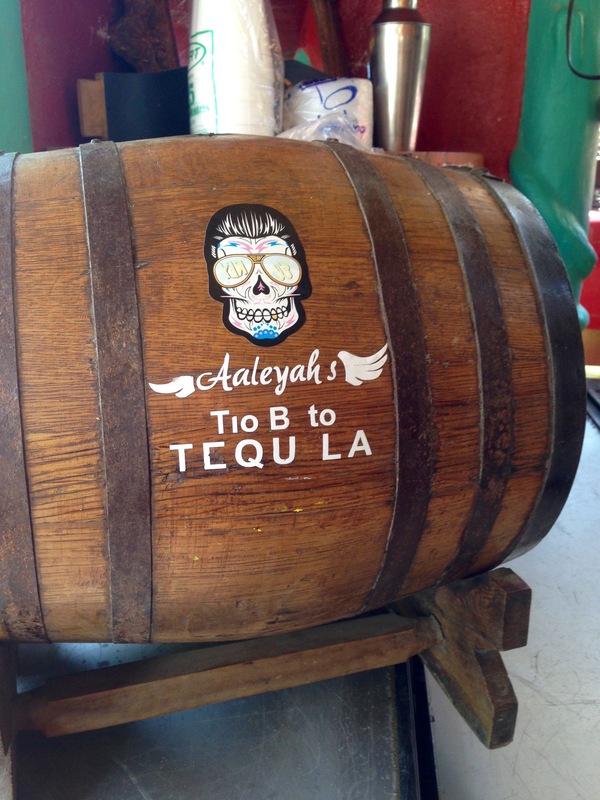 When we went back to Aaleyah’s we were again greeted with tasty tequila and warm smiles. They even invited me into the kitchen to watch them make their amazing salsa. Garlic, green peppers, and a little oil cooked in a pan. The mixture is then put into a blender with chicken stock powder, cilantro, and lime. You’ve gotta try it out. You can thank me later! 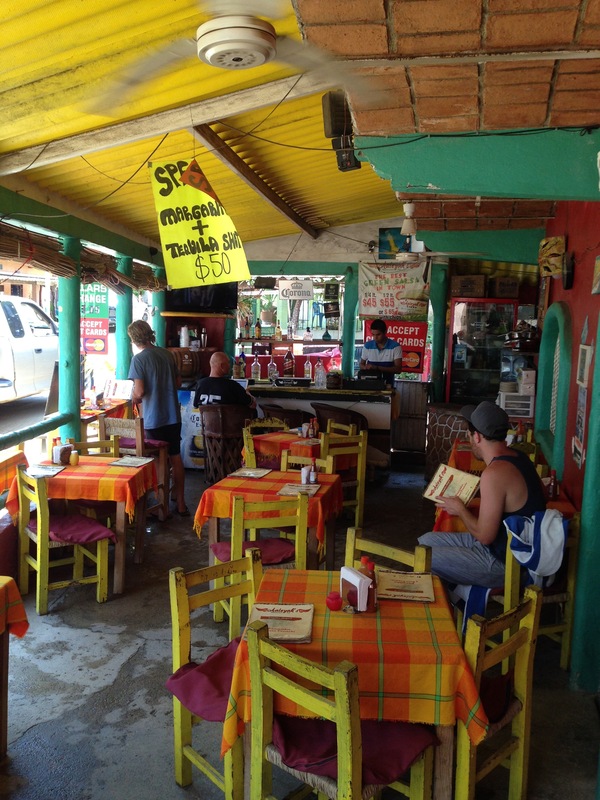 This may come as no surprise, but we ate a ton of Mexican food while in Sayulita. Some was fantastic and some was average. But, one place stood out in our minds as the freshest, cleanest, and tastiest of them all. Mary’s makes one of the best burritos I’ve ever had. In California I tend to like a burrito with tons of melty cheese, heaps of meat, guacamole, scoops of sour cream, and a big oily tortilla. Mary’s makes the opposite. 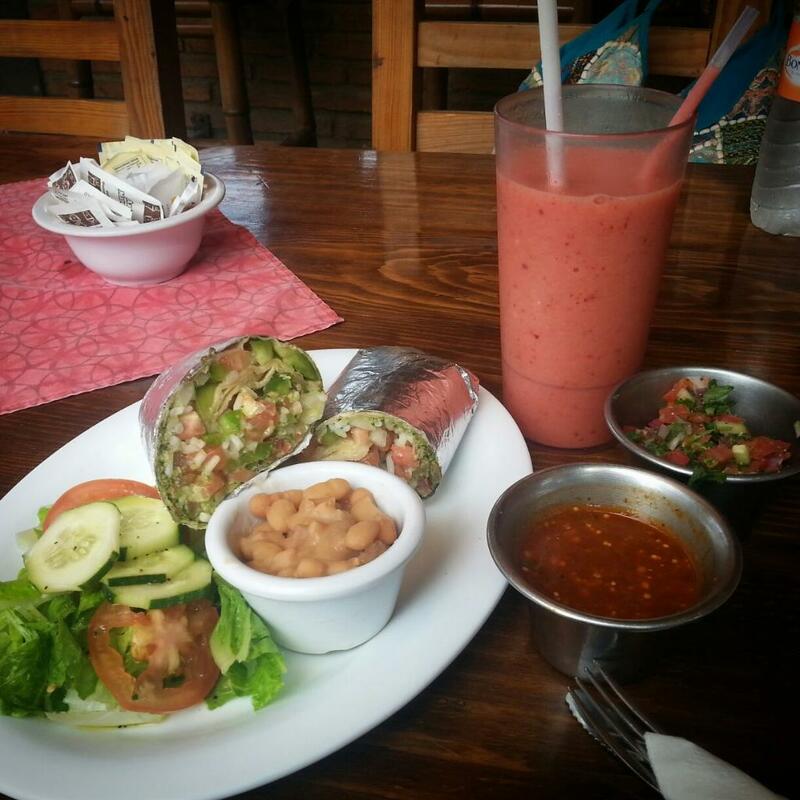 Their pollo supreme burrito was big enough for two, filled with fresh slices of avocado, cabbage, sweet tomatoes, perfectly grilled chicken, beans, and a light layer of white cheese. I hear their tacos are also a must have. Credit: Yelp – Melissa M.
YamBak knows how to get people to dance. Their nighttime combination of psychedelic imagery, pumping music, and well-crafted cocktails does the trick. 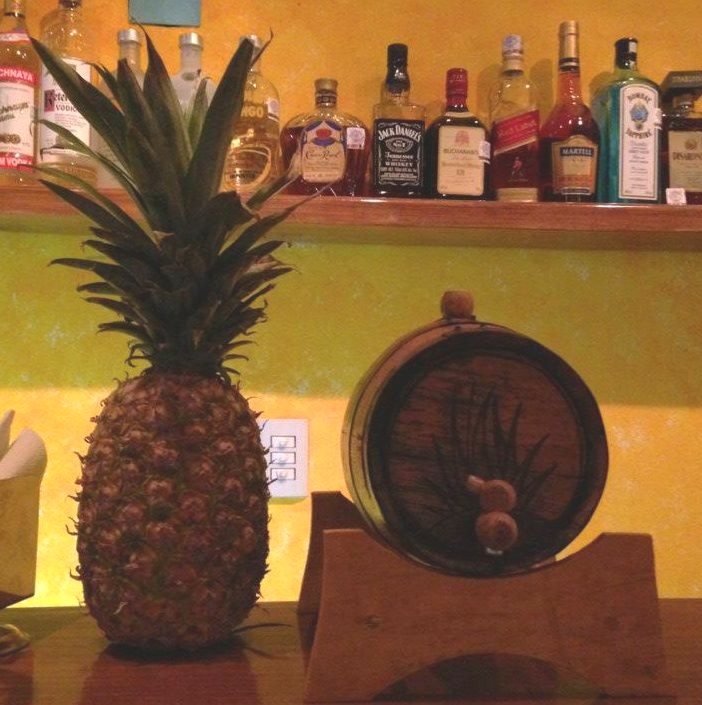 The bartenders are attentive and quick, and the atmosphere is cool and artsy. I have to admit that we popped in on a slow night. We played card games at the bar and sipped on tequila, but the rest of the week we walked by this place and it was a big indoor/outdoor party!